Selling a house in Leicester or across the county can be stressful and you’ll want to do it as quickly and as easily as possible. Yes, it depends upon the market, the price, location etc. but you can help by ensuring that your home appeals to potential buyers right from the start. The greater the appeal, the less time your home will be on the market. You’ll be aware of what you should be focusing on but do you know what could be hampering the sale of your house? Plus, with everything looking tidy it’s an ideal time to take property photos and easy to tidy round ready for viewings. If anything needs fixing or involves work or money being spent then there’s a good chance you’ll get a lower offer. Don’t leave things for the new owners to sort out! Potential buyers look for reasons to justify their lower offer and it may only take a day or two to sort everything out and that’s got to be time well spent. TIP – walk around your house and write a list of all the jobs that need doing. Then you can decide if you work through the list yourself or if you need to get a handyman in to help. Buyers need to feel good when looking around the house you’re selling and that doesn’t just mean decluttering. Nobody wants to inherit stained, smelly carpets. Do the carpets need a bit of a scrub or could you fit a cheap lino to the bathroom or kitchen? You don’t have to spend too much, it just needs to be fit for purpose. Décor is very personal and you may love your blood red living room walls but it may put a buyer off. Not all buyers want to spend money on the house your selling as soon as they move in (unless it’s a do-er upper of course). Buyers will look at how their furniture will look in each room, will the colours clash? Will they put in a lower offer as they have to spend money toning down your house? Or will they buy the next neutral property? You don’t have to have dull colours, maybe just tone down the existing colours with a softer shade. A buyer will think that clutter means that there isn’t enough space, that the house is too small for you and for them. Need help decluttering? Take a look at this guide to decluttering when selling your house. When selling a house in Leicester, make sure you look at other properties with similar specifications and within the same price range. Make sure that yours is the best value for money and creates the most appeal. When selling a house we immediately think about tidying the place up but what about the kerb appeal? Does the driveway need a good power wash? Garden need weeding or an overgrown lawn? Maybe you have lots of garden ornaments, not everyone is fond of a family of gnomes. Remove net curtains to reveal a good view from your window. A room flooded with light will immediately feel more modern and spacious. Some buyers won’t like animals or have allergies so get the kids out of the house to walk the dog when you have a viewing. Eliminate pet odours and hide the dog bowl or litter tray. It could make all the difference! Do you have a spare room that’s become a dumping ground? Why not utilise this space, staging it so a potential buyer can see a use for every part of your house. 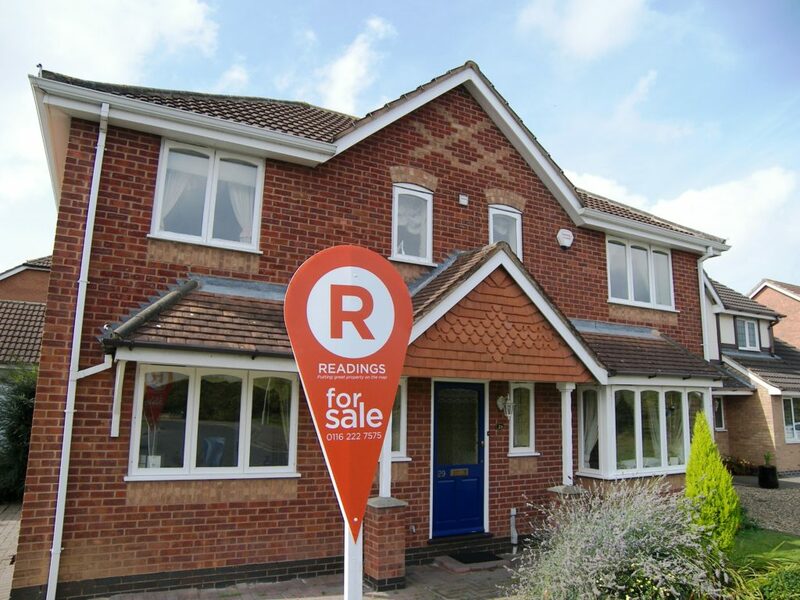 Hopefully this post will give you some ideas on what to do when selling a house in Leicester and make it all worthwhile when you see the “Sold” sign go up! If you want any further advice, we’d be more than happy to help, call us on 0116 222 7575.